I’m struck by how “The Little Regiment,” although inspired by a battle that predated the historical Chancellorsville, serves as a sequel to Crane’s fictional Chancellorsville. Red Badge gives us an inexperienced Union soldier trying to accommodate himself to combat in his first battle. “The Little Regiment” gives us veteran Union soldiers maintaining their accommodation to combat in the latest of a series of battles or campaigns (a process eased at the fictionalized Fredericksburg by each brother learning at different times that the other has survived successive rounds of fighting). Another Second Corps veterans’ group published this photo of the site of their pontoon-bridge crossing of the Rappahannock River into Fredericksburg (behind viewer), 42 years after the battle and eight years after Stephen Crane’s visit. Area of foot of Hawke Street in foreground; Chatham atop bluffs and among trees in upper-right background. The brothers in Crane’s fictional Second Corps regiment renew their public feud en route to the pontoon crossing, and preview some of the dangers ahead. History of the Twelfth Regiment Rhode Island Volunteers… (Providence, R.I., 1901-1904), f. p. 33. No less absorbing for the brothers the challenge of balancing an inner affection and concern for one another with their outward, public interaction—successive insults and offended silences. At the onset of their third campaign with the regiment, they have renewed the sequence. Billie grumbled at the regiment having to wait “like a lot of wooden soldiers” in a patch of cold mud on the north side of the river. Dan responded by calling him “a dammed fool” in front of their comrades. Once over the pontoon bridge and in the town, the brothers make a show of ignoring one another even as each fears privately for the other’s safety. Taber’s woodcut accompanying Crane’s account of the Union attack on the heights. “The Little Regiment”: 17. That fierce elation in the terrors of war, catching a man’s heart and making it burn with such ardor that he becomes capable of dying, flashed in the faces of the men like colored lights, and made them resemble leashed animals, eager, ferocious, daunting at nothing. The line was really in its first leap before the wild, hoarse crying of the orders. The greed for close quarters which is the emotion of a bayonet charge came then into the minds of the men and developed until it was a madness. The field, with its faded grass of a Southern winter, seemed miles in width to this fury. It was as if a necromancer had suddenly shown them a picture of the fact which awaited them, but the line with a muscular spasm hurled itself…until the men were stumbling amid the relics of other assaults, the point where the fire from the ridge consumed. Veterans could now at last be distinguished from recruits. The new regiments were instantly gone, lost, scattered, as if they had never been. But the sweeping failure of the charge, the battle, could not make the veterans forget their business. With a last throe, the band of maniacs drew itself up and blazed a volley at the hill, insignificant to those iron intrenchments, but nevertheless expressing that singular final despair which enables men to coolly defy the walls of a city of death. An eagle-finial that “had led men into the mystic smoke” tops a flag laid horizontally between nearby musket-stacks. Crane’s narrative pauses at one group who stare into the flames “with a certain fine contentment, like laborers after a hard day’s work.” They appear more in readiness for the next lunge into the mystic smoke than in recovery from the prior lunge. I make no claim to be a Stephen Crane specialist. This post shares my own introduction to his ruminations on Fredericksburg. Citations for the vast body of scholarship on Crane and The Red Badge of Courage are readily available via the website of the Stephen Crane Society and elsewhere online. For general background on Crane, “The Little Regiment,” and Red Badge, my post draws extensively on Paul Sorrentino’s outstanding, recent biography where cited below. Beyond the park-based introduction of John and Andrea’s Youtube-video, interpretations of the Red Badge-Chancellorsville connection include Charles J. LaRocca, Stephen Crane’s Novel Of The Civil War: The Red Badge Of Courage, an Historically Annotated Edition (New York, 1995), and Perry Lentz, Private Fleming at Chancellorsville: The Red Badge of Courage and the Civil War (Columbia, Mo., 2006). Sources, in order of appearance of topics (italics)—general background and illustrations: Stephen Crane, “The Little Regiment,” McClure’s Magazine (June 1896): 12-22 (cited hereafter as Crane), Crane’s 1896 Fredericksburg visit: R. W. Stallman and Lillian Gilkes, Stephen Crane: Letters (New York, 1960), pp. 98-100, 102, timeline for Little Regiment short story, and Phillips correspondence: Paul Sorrentino, Stephen Crane: A Life of Fire (Cambridge, Mass. and London, 2014), pp. 188-189, Stanley Wertheim, A Stephen Crane Encyclopedia (Westport, Conn. and London, 1997), p. 198; advance publicity in May 1896 issue of McClure’s, circulation claim: “McClure’s Magazine Anniversary Number,” McClure’s Magazine, May 1896: iv (quotation); background on Taber: “Isaac Taber,” askART, accessed at http://www.askart.com/artist_bio/Isaac_Walton_Taber/19092/Isaac_Walton_Taber.aspx ; locations of railroads and stations: L. R. Grabill, Plan of Fredericksburg, Virginia, 1890, millrace/canal-ditch and bridges in 1862: Francis Augustin O’Reilly, The Fredericksburg Campaign: Winter War on the Rappahannock (Baton Rouge, La., 2006), pp. 262-264, 302, publication-timelines for Little Regiment story collection and Red Badge: Sorrentino, pp. 148, 186, 189-190; Kipling analogy in publicity: “McClure’s Magazine Anniversary Number,” McClure’s Magazine, May 1896: iv (quotation); Favorite Story telecast, personnel, and 1958 rebroadcast: Chicago Tribune, Sept. 13, 1958, The Classic TV Archive, “Your Favorite Story (1953-54),” Internet Movie Database, “Your Favorite Story” (1953- ): The Little Regiment, Ives noting resemblance, and Crane’s passages supporting it: Crane, 12, 14-17; C. B. Ives, “’The Little Regiment’ of Stephen Crane at the Battle of Chancellorsville,” The Midwest Quarterly: A Journal of Contemporary Thought 8 (1967): 247-260, brothers’ real or imagined service as pickets: Crane, 15-16, 18-19, Fourth Ohio’s picket-fighting on December 12: William Kepler, History of the Three Months’ and Three Years’ Service…of the Fourth Regiment Ohio Volunteer Infantry… (Cleveland, 1886), pp. 92-93, trying to accommodate to combat in Red Badge: Sorrentino, 171, Upper Pontoons/Hawke Street as site of Second Corps 1862 crossing into Fredericksburg: O’Reilly, 107-108, previews of danger ahead in The Little Regiment: Crane, 14, 16; veterans’ calm sense of duty: Crane, 16, 19; Billie and Dan’s relationship: Crane, 12-18, 21-22; advance and attack during the fictionalized December 13: Crane, 19-20, bivouac in town after attack: Crane, 20. Special thanks to my father, David Harrison, for research assistance. 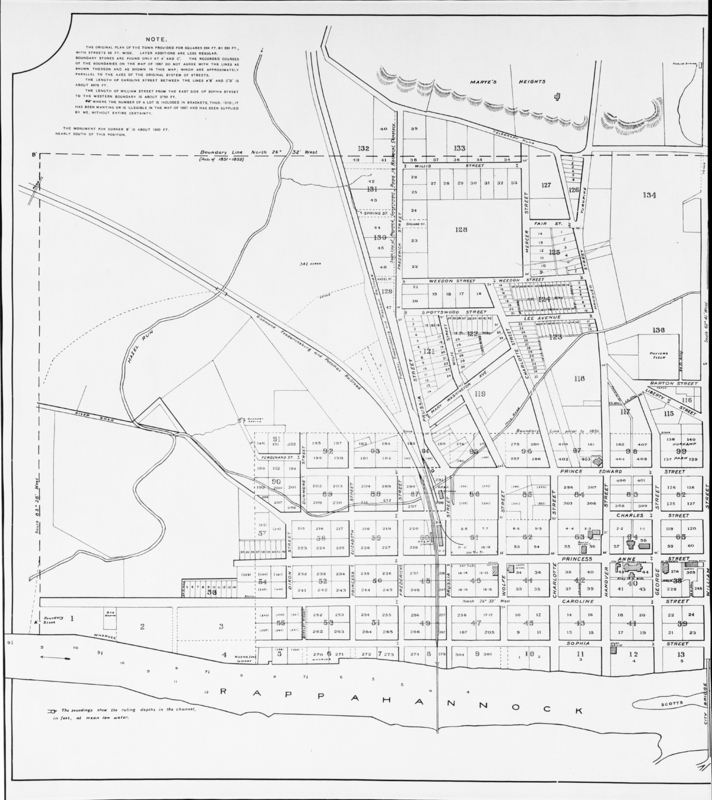 Gratitude is also extended to Professor Gary Stanton of the University of Mary Washington, whose indispensable Fredericksburg Research Resources website includes a copy of the 1890 Grabill map. A terrific post Noel, and a very evocative short story previously unknown to me. Many thanks and Happy 4th! A really high quality, inspired investigation into the development of historical memory through story and narrative art, A very important piece of literary criticism, and historiography — but with a central flaw, namely that the author — like Crane — treats Fredericksburg I of December, 1862, as if it were the ONLY “Battle of Fredericksburg” — thereby doing an unnecessary disservice to the entire history of the Civil War at Fredericksburg. Otherwise, truly fine. Thank you for the read and kind comments. I recognize in those someone who shares my hope for a broad spotlight for the April-May 1863 Battle of Fredericksburg. My use of the term “the December 1862 battle” in the opening paragraphs is intended to emphasize that particular event as the one that Crane chose for the inspiration and setting of the “Little Regiment,” as opposed one of the many other, dramatic Civil War events in and around Fredericksburg. Great post, Noel. As someone heavily engaged in researching Second Fred, let me say that the NPS historians (both past and present) have been exceedingly generous with their time and allowed me access to reams of archival material. The Park itself may not interpret the April-May battle, but many of the Park staff are well-versed in those events. You guys are the best. Interestingly, the American Battlefield Protection Program thoroughly botches up its description of a significant portion of the Chancellorsville campaign that occurred in Fredericksburg, making it a challenge to compete for preservation planning funds. I tried to correct the record, but ABPP staff called the battle action of May 4, 1863 a “retreat skirmish.” The casualties over several days of fighting at Fredericksburg, Salem Church, and Banks Ford (April 29-May 4) constituted a quarter of the casualties incurred during the entire campaign. That level of fighting is not properly described as a retreat skirmish. Hang in there Noel, you are doing important work. Thanks as always for the kind words and thoughtful read and comment, Erik.